 Contact Researchers of Lexington or Fayette County, Kentucky Surnames!! Can Detail Your Family Tree!! Heartland FamilyHistory Research, owned by genealogist Frank Baumer, is skillful with genealogical records. We can try to help you to detail your family tree. We can try to find the dates and places of births, marriages, and deaths in your family history that have eluded you. We can skillfully supplement your understanding of your family history by searching for information on helpful internet sites and in other sources. 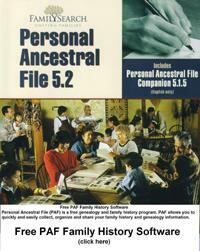 We provide logged searches of FamilySearch.org and we provide logged searches of Ancestry.com. We own many genealogy books and CDs with the capability to search hundreds of millions of names for people who are searching for their ancestors. For reasonable requests, Heartland FamilyHistory Research will detail your family tree, invoiced by PayPal at the rate of $10.00 per each 30 minutes effort. This fee covers the cost of our research for you, even though we may not find the information that you seek. However, we will provide a detailed log of our research that can be valuable to you or someone else that you hire. Heartland FamilyHistory Research is owned by genealogist Frank Baumer. He invites you to examine two records of his integrity, which are his extensive eBay feedback and his extensive Deseret Books Auctions feedback.